Sieur de La Salle, a French explorer, found the Mississippi River in 1682 and claimed it and the waters draining into it for France. The Mississippi River, 2,348 miles long, is the longest river in the United States. It ranges in depth from nine feet to 100 feet, and its drainage basin includes over one million square miles. Idea: Trace a map of the United States. Color the states whose rivers empty into the Mississippi. Add tributaries, such as the Missouri, Ohio, and Arkansas Rivers. Peterborough, New Hampshire, created the first free public library in the United States in 1833. The American Library Association states that today the country supports about 121,169 libraries, and 297.6 million people use libraries each year. 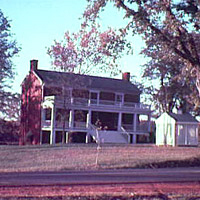 Civil War ended in 1865 when Robert E. Lee surrendered to Ulysses S. Grant at Appomattox, Virginia. Over 600,000 soldiers died in the Civil War, more than all the wars in total the United States has ever fought. Because most of the war had been waged in the South, many of the southern states suffered severe damages. The war, however, ended slavery and reunited all the states. Idea: The Civil War changed ideas regarding battle. Research to find out what new machinery and which different strategies were used. Children could learn more at: Civil War Surrender. 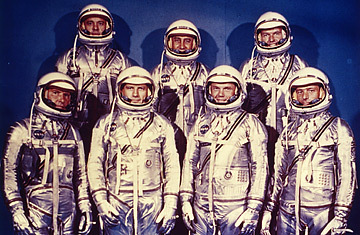 First United States astronauts were appointed in 1959. All seven original astronauts (Scott Carpenter, Gordon Cooper, John Glenn, Virgil “Gus” Grissom, Wally Schirra, Alan Shepard, and Deke Slayton) were men, and they were all in the military. Children could investigate present astronaut requirements. Who are some of our present astronauts? How have astronaut requirements changed since the beginning of the program? Margaret Peterson Haddix (born Washington Court House, Ohio, 1964) has written at least 30 books for children. Her books include The Missing series and the Shadow Children series. Children could read more at: http://haddixbooks.com/. Joseph Krumgold (born Jersey City, New Jersey, 1908; died Hope Township, New Jersey, July 10, 1980) wrote books for children. 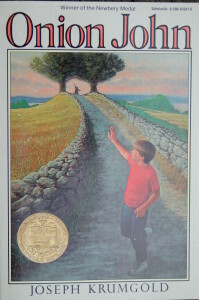 He was the first author to receive two Newbery Medals. He received the 1954 Medal for …And Now Miguel, and his book Onion John earned the 1960 Medal. Children can learn more at: Joseph Krumgold. Paul Bustill Robeson (born Princeton, New Jersey, 1898; died Philadelphia, Pennsylvania, January 23, 1976) was an African American singer and actor. Leonard Wibberley (born Dublin, Ireland, 1915; died Santa Monica, California, November 22, 1983) wrote at least 100 books. His most famous book is The Mouse that Roared. Children can learn more at: Leonard Wibberley.